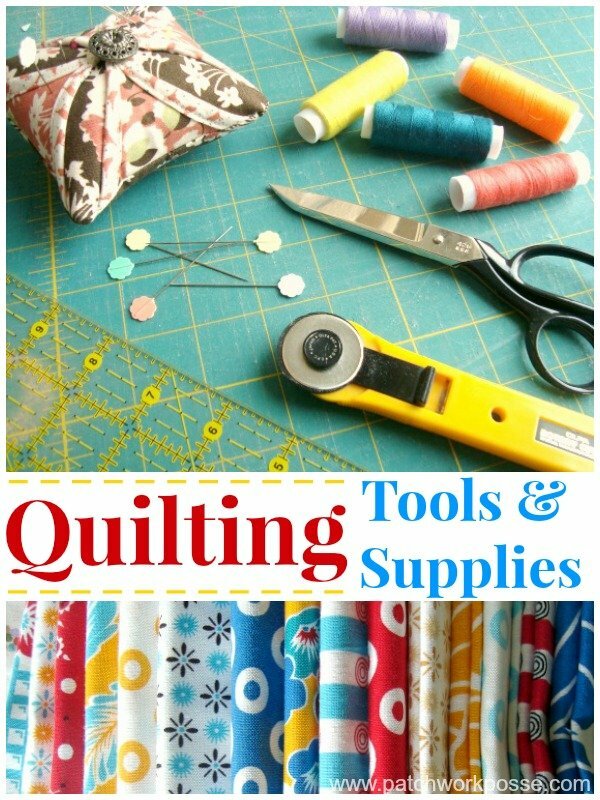 There are a lot of products out there for quilting and sewing. The isles at the stores are filled with fun supplies and must have’s. 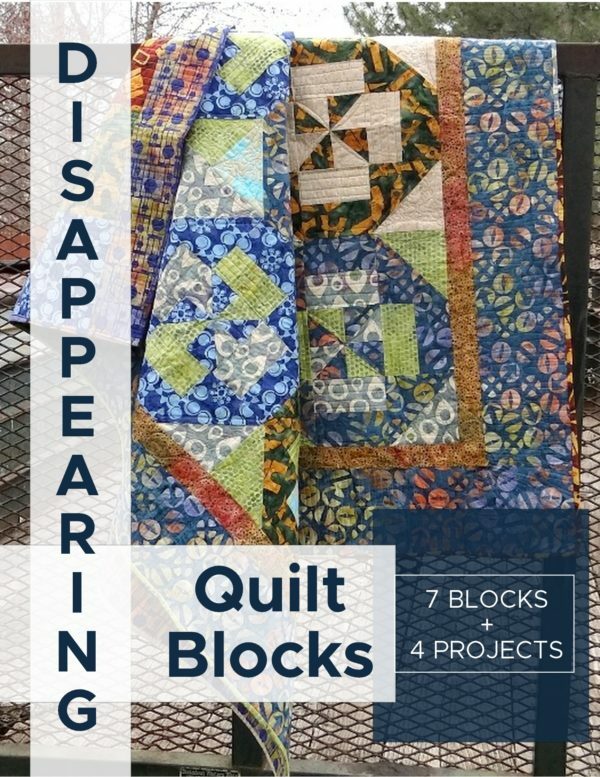 Over time you will find that there are a few basic quilting tools that you use- all the time. They are your go-to tool. You take them with you when you go on sewing dates, retreats or have ready at a moments notice to use. These are the things that sit by your hand, sewing machine or lounge on your table, ready for some action! I have come up wtih a list of my favorite tools. These are hidden from others and not shared often. I love, love them. And it shows. Rotary Cutter – The blades are very sharp and cut fabric quickly and accurately. The blade rolls, just like a pizza cutter. There are many different sizes. I use the small-sized cutter most. It whips around curves like nobodies business, and is easy for me to grip. There are a few different kind of handles and blade sizes. Before purchasing one, I would suggestion giving them a try. A Self-healing Cutting Mat – allows you to use the rotary cutter for cutting fabric. Mats come in many different sizes, but an 18″ x 24″ mat is a good size to start with. Need to clean the mat you have? Here is a quick how-to to help you out. Scissors – sharp sewing scissors are a must. Trying to cut with something that is less than sharp can only make your experience frustrating. Another thing to look for is the point of the scissor. When you are snipping corners or curves having this part of the scissor sharp, and pointy will be necessary. Seam Ripper – I have had many, and have used them all. There is one in my travel kit, one in my sewing machine drawer, and one on the cutting table. I call them my ‘best friend’ because it helps me fix what is wrong…and really knows best! Fabric – we’ve hit this topic before. Keep with high quality fabric. Your projects turn out better, last longer and you won’t have problems with colors bleading or bad fabric weave. Thread – we’ve hit this topic before too. This is the one thing that is holding all your fabric together. Don’ skimp here. Use a few different brands until you find your favorite. Pins – the flower head pins are my favorite. They lay flat against the fabric and are kind of a heavier pin so they hold their place. Remove them prior to stitching the spot though to avoid breaking your needle. Pincushions – these are you pins best friends. They come in all different shapes and sizes. Lots of sewers tend to collect pincushions and have them place stratically placed throughout the house. Wonder Clips – these are right now my favorite thing! They are great for holding your binding on. They won’t stick you. Rulers – My favorite size is the 6″ X 12″, but I find that I use other shapes and sizes almost as much. Depending on the project that is being worked on, the ruler might change. I suggest trying out a few of your friends to find out which one is your favorite. 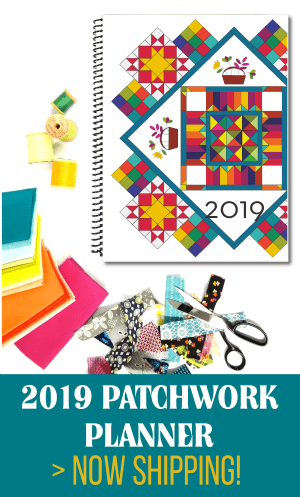 This is part of the Pre-K Patchwork Series. 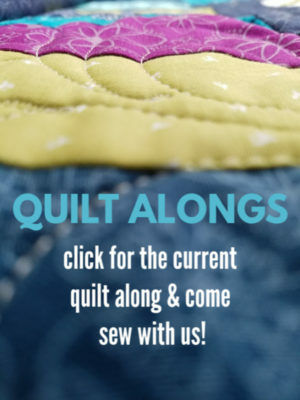 Click here for more Quilting 101 tips. 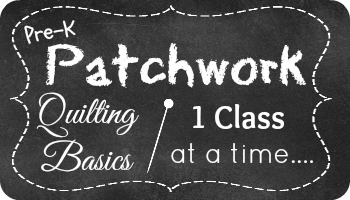 Follow along with the pre-k Patchwork Series. I’d love to send you an email reminder- sign up here! 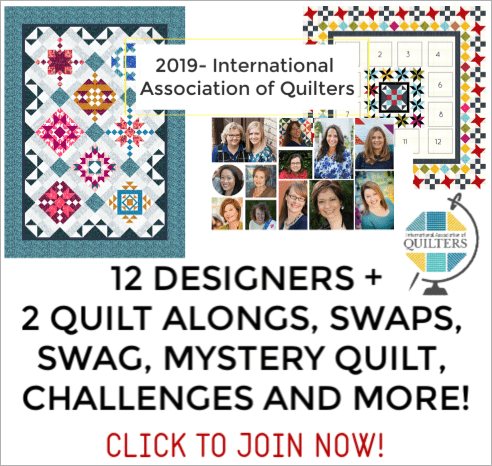 Well for a quilt you’re going to need batting also. My favorite is a low loft cotton or cotton poly 80/20. If you use an all polyester batting you can expect it to melt together as you iron your seams. So it makes it look all uneven, especially if you are using any applique designs. Needles, whether for hand sewing or machine sewing, use the right gauge and purpose needle. And don’t buy the cheap ones. I only use Schmetz any more since they are easy to find and work well in both of my machines. However Organ and Superior titanium are also good. Hand needles depend completely on what you are sewing on or with. Use a new needle for each project they get dull. I like long sharpe pins for just about everything but hand applique. Like your needles they get dull so need to be changed out, my pincushion is a magnet or a one with a bar of soap in it. As with everything price and quality matter. If you use cheap tools and material you will get frustrated and never want to sew again. Oh my gosh– totally! Thanks for adding that Jennie. I’ve just started using the tinanium needles. They sure are nice! They are super important – less problems when you use good ones. And- I agree that price can be a real turn off for some, but in the end it’s so worth saving up even if you need to, to get the right tool. Makes such a difference and Soooo much better in the long run.